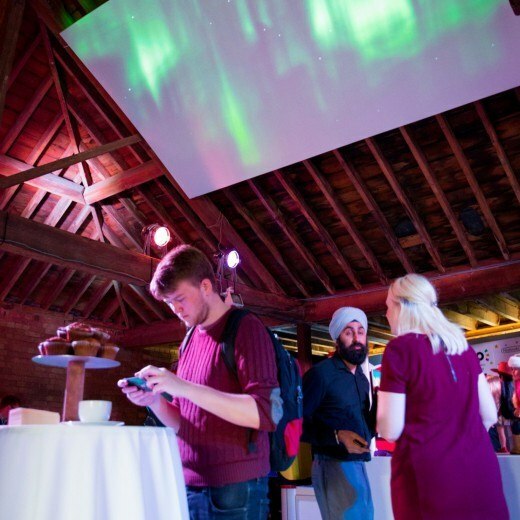 We brought Christmas to July at Bermondsey venue Ugly Duck for a Northern Lights-themed extravaganza for Argos. 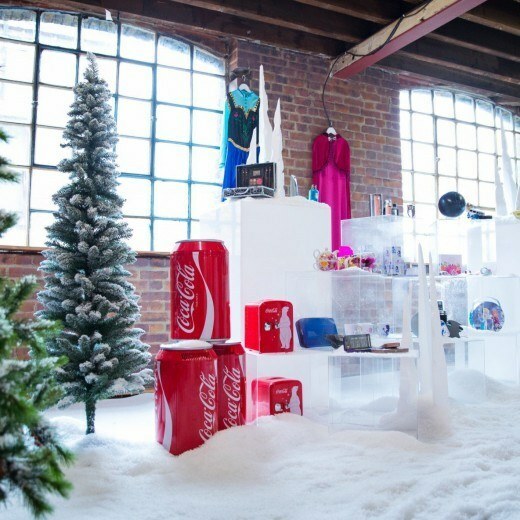 Argos was looking for a dramatic launch for its Christmas collections, attended by journalists from across broadcast and print. Journalists from across broadcast and print were invited to get a sneak peek at this year’s Christmas products and top toys from Argos. The Northern Lights winter theme helped get everyone in the mood for Christmas shopping. Argos staff guided guests around the festivities, showing them a series of themed sets in turn as they discussed new Christmas products. Created by the Mask team, each of the themed areas was inspired by the store’s autumn/winter ranges. The pièce de résistance, a life-sized polar bear, caught guests by surprise as they explored the wintery scenes. The 8 ft fully animated creature, which takes two people to operate, was controlled by puppeteers who worked together on the critically-acclaimed West End show War Horse. 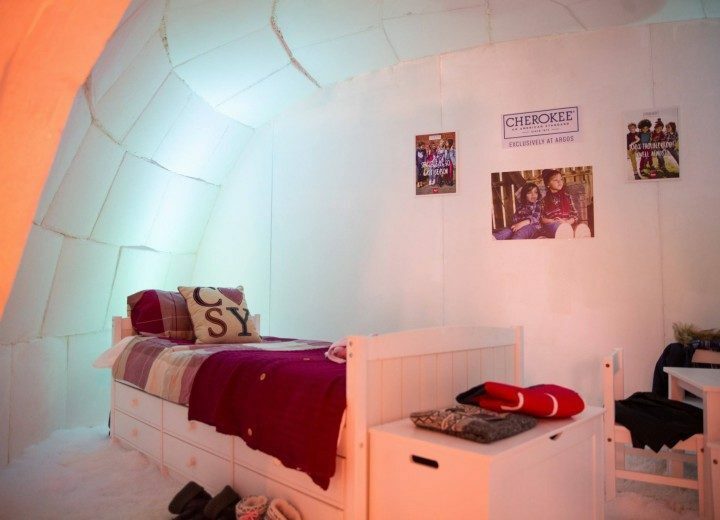 Winter sets included an igloo, which housed a children’s room set. Mannequins dressed in Cherokee clothing were positioned outside of the igloo, alongside clothes pegged on a snowy washing line. Another themed set saw jewellery displayed on an iceberg, surrounding a work station where guests saw first hand how the pieces are made, with a jewellery designer putting the finishing touches on pieces from the range right in front of them. A gift area was styled with snow and ice, continuing the authenticity of the festive look. Homeware was found at the ‘ice home’, a beautiful hideaway with snowy windows and furs to keep guests warm. Guests then entered a realm of peace and relaxation at the ice spa, which was designed to replicate the authentic spas of the northern hemisphere. 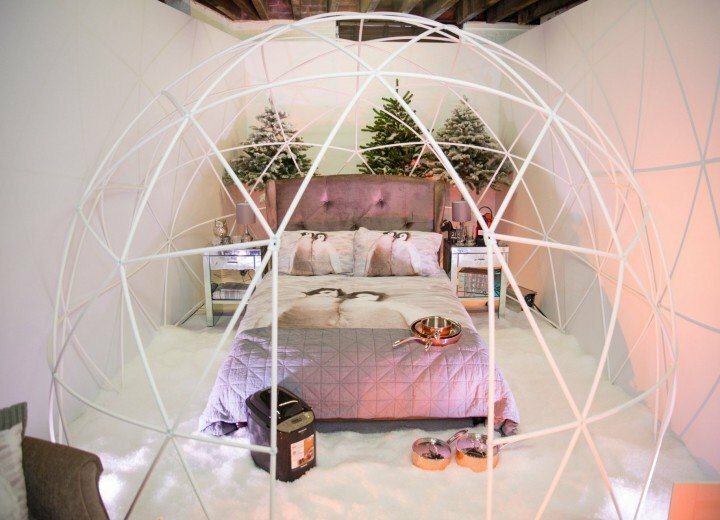 A tranquil atmosphere was created with white walls, Perspex bricks and faux snow. Ice blocks were used to display products, with a celebrity hair stylist giving live demonstrations to help guests look their best. A futuristic conceptual research lab, complete with 3D printer, allowed guests to experience and test out Argos’s future products. Video gaming systems were found at the Ice Breaker, a space that emulated the look of the inside of an icebreaker, with screens and controls. This area proved one of the most popular; guests loved getting to grips with the new consoles and games. Having journeyed through the ‘Arctic’, guests were delighted to discover a corrugated iron building, glowing with warm lights and the reassurance of technology shining through. A restful destination and communication centre, Base Camp, gave guests a little respite from the ‘cold’. Guests arrived at Base Camp to collect supplies for the journey ahead, phone home and put their feet up after their travels. As guests entered they saw product displays throughout the space in living situations, with beds, tables, and seating areas. Following a pathway of trees and ice formations, guests were led to Santa’s Den. The log cabin was modelled on Santa’s very own retreat, a cosy hideaway in which he spends his time designing toys, creating ‘prototypes’ and reading his letters from believers. As they entered the warm and enticing space, guests found Santa’s desk, covered in his doodles and sketches of latest toys. 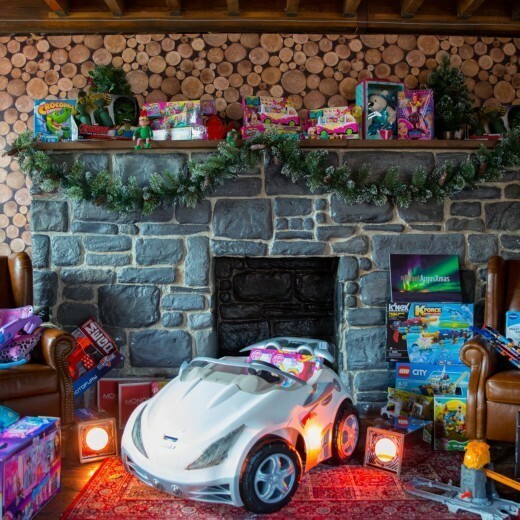 Top toy prototypes were proudly displayed on Santa’s bookshelves, amongst traditional décor put together by Mrs. Claus. 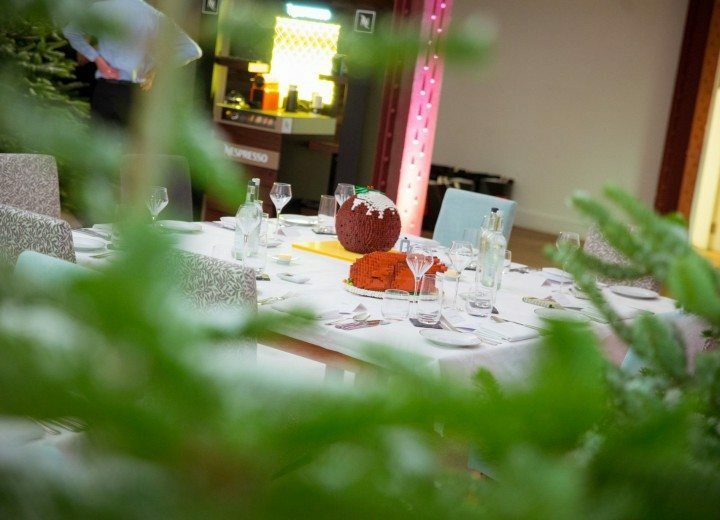 The grand finale of the most festive day of the summer was a stunning themed dinner, modelled on what is undoubtedly the best meal of the year: the Christmas dinner! The evening began with a drinks reception featuring demonstrations from key suppliers; before guests sat down to enjoy a bespoke three-course menu by Concerto-owned caterer Create. 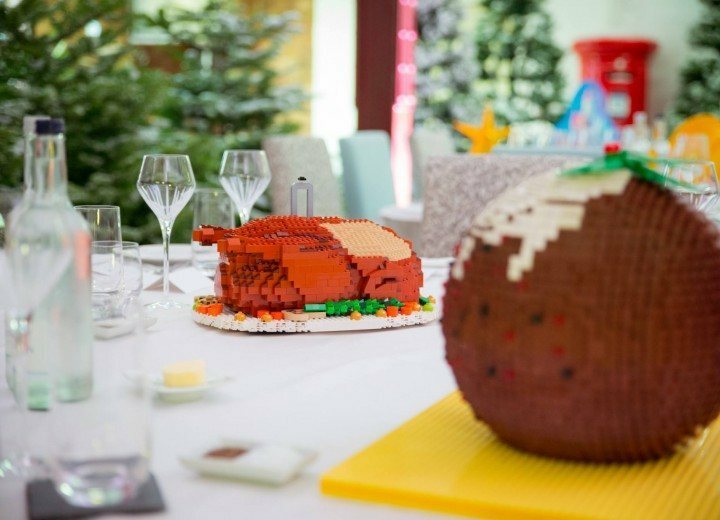 The meal was designed to complement the day’s festive theming, and finished just the way any Christmas Day should – with a Christmas pudding! This time the pudding had been given a Create twist. 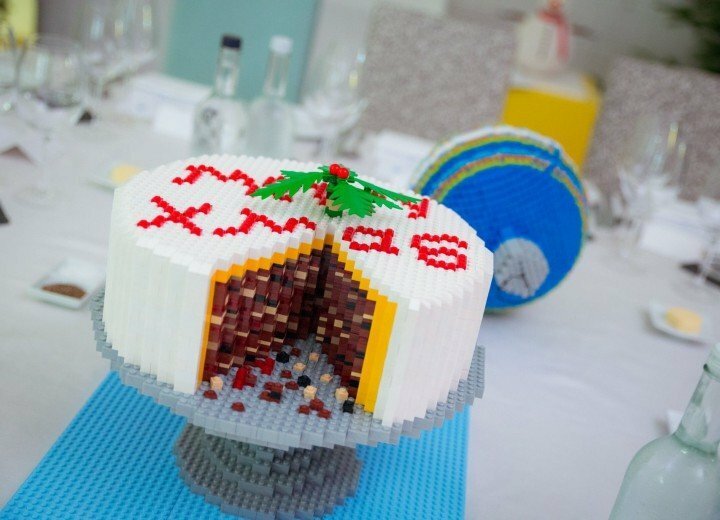 Guests tucked into an aerated Christmas sponge as they marvelled at other Christmas treats, constructed entirely from Lego, before heading out of winter and back into the summer’s night.